It’s obvious when you talk to Jake Grift that farming is his business. 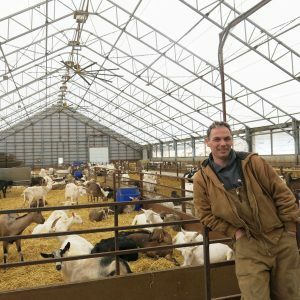 It’s clear he works to make his operations efficient as he describes how he deals with the day-to-day challenges of running a dairy goat operation, horse boarding facility and the associated hay cropping. Jake grew up on a farm and has called his 65 acre farm in Erin home for the past four years. For more information about the Bird-Friendly Certified Hay Program, visit www.birdfriendlyhay.ca. Registration deadline is May 1.